Belmont announced today that Dr. Mary Clark has been appointed as Director of Belmont’s newly created Office of Multicultural Learning and Experience (MLE). Since coming to Belmont in 2014, Clark has provided innovative leadership to the Bridges to Belmont program as it has grown to include four cohorts and more than 100 students. 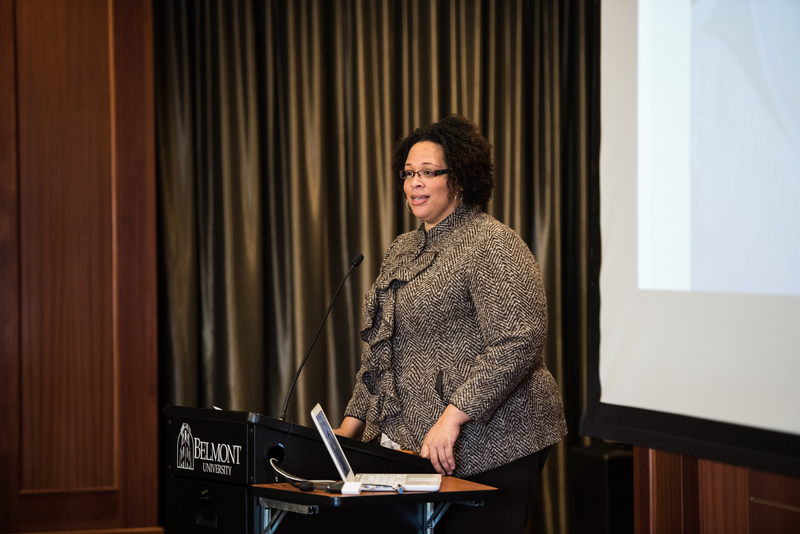 In her new role, Clark will lead the Office in its charge to serve Belmont’s student-centered community by providing academic and experiential multicultural learning opportunities that serve the university’s mission to engage and transform the world. In managing the daily operations of the Office, Clark will provide institutional leadership to support, strengthen and expand Belmont’s culture of inclusion and diversity by collaboratively partnering with diversity initiatives across campus including the University’s Welcome Home Team, a senior leadership advisory committee focused on racial and ethnic diversity. Focusing on creating culturally diverse conversations, the MLE will permeate all aspects of campus life as it supports awareness events across campus, establishes its own programming surrounding key diversity and inclusivity topics and creates new initiatives and opportunities for diverse experiences. The development of the MLE at Belmont allows the institution to take a proactive, educational approach to providing faculty, staff and students with opportunities to further develop and engage their cultural competencies. Serving as the central location for administration and corporate diversity planning, the MLE will continue to infuse existing structures with opportunities to increase multicultural knowledge, advance the campus dialogue on multicultural literacies and provide resources to campus constituents to enhance their foundational knowledge.